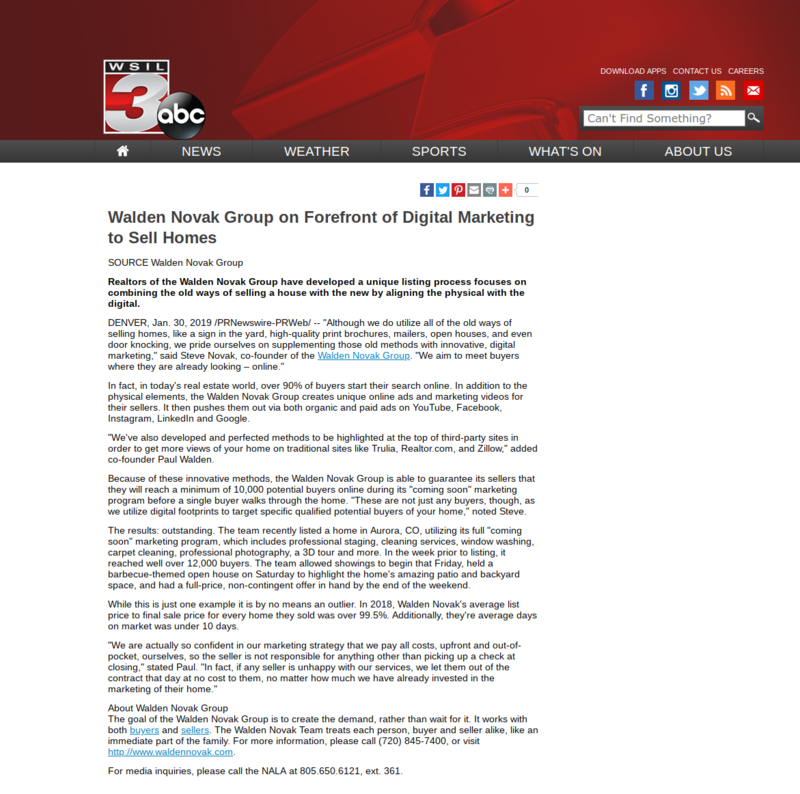 The goal of the Walden Novak Group is to create the demand, rather than wait for it. It works with both buyers and sellers. 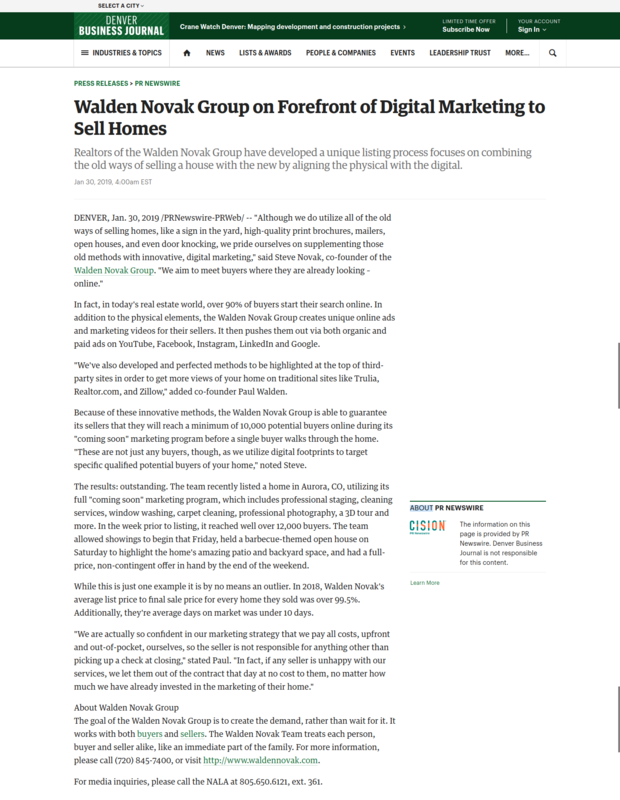 The Walden Novak Team treats each person, buyer and seller alike, like an immediate part of the family.